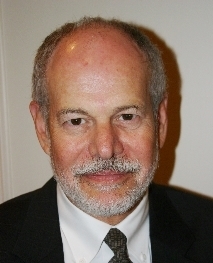 Judge Robert Schnider retired in 2008 after spending nearly three decades assigned to the court's Family Law Department in the Central District. One of the state's most experienced Family Law jurists, Judge Schnider regularly made rulings in high-profile custody, paternity and other disputes involving celebrities such as Michael Jackson, David Hasselhoff, Kim Basinger and Alec Baldwin, and Anna Nicole Bethurum Smith. He has handled thousands of settlement conferences during the course of his career. Instructor, Continuing Judicial Studies Program teaching family law to newly assigned judicial officers. Former Adjunct Professor at Loyola Law School teaching Family Law/Marital Property. Charter member, Judicial Council Family Law Advisory Committee; Former Chair, CJA Family Law Committee; Committee member/ Chair, Family Law and Procedure Institute; Member, Los Angeles County Bar Association and Family Law Section; Board member, statewide Association of Family and Conciliation Courts; member, Editorial Board, Family and Conciliation Courts Review. Recipient: Spencer Brandeis Award, Los Angeles County Bar Family Law Section, 1992; "Trial Judge of the Year" award, State Bar of California Family Law Section, 1997; Beverly Hills Bar Family Law Section "Judicial Officer of the Year" award, 1997; American Academy of Matrimonial Lawyers "Person of the Year" award, 1999; Zephyr M. Ramsey Award, Harriett Buhai Center, 2000; Los Angeles County Bar Outstanding Jurist Award, 2000; Levitt & Quinn 2008 Honoree. Family Law, including custody, visitation, move-away, property and support disputes; Elder Abuse. Judge Schnider began his career on the bench in 1981 as a Superior Court Commissioner assigned to the Family Law Department. He became a judge in 2002 and continued to handle Family Law cases until his retirement. He was Supervising Judge of the Superior Court's Family Law Departments from 2005-2008 and most recently served in the Family Law trial department. From 1971-1975, Judge Schnider practiced family law in a partnership with his father, Jack Schnider, with offices in Santa Monica. He continued as a sole practitioner from 1975-1981 after his father's death. He became a Certified Family Law Specialist from the start of certification. A highly-respected expert in his field, Judge Schnider is the author of numerous Family Law articles in legal publications. He has lectured at the Superior Court Family Law Symposium since 1982 and has served as a frequent speaker and trainer at numerous CEB, bar association, and CJER programs. Judge Schnider is available throughout Southern California.